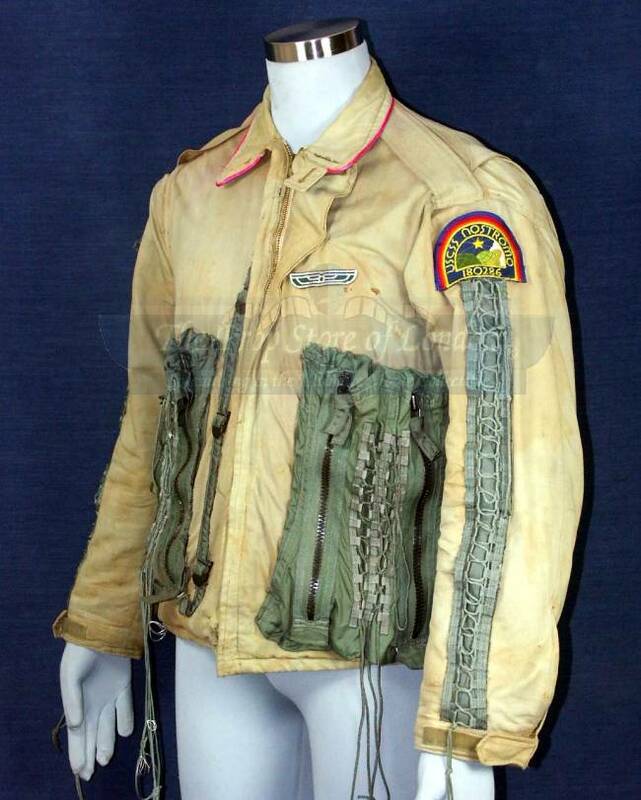 Propstore: "A prototype jacket made for Tom Skerritt to wear as Dallas in the original Ridley Scott science fiction masterpiece Alien. This master prototype jacket was made for the actor by Tiny Nicholls the costume supervisor on the film and has “TN” handwritten inside, the jacket came from Tiny. Tom ended up wearing a darker version on screen in the end. 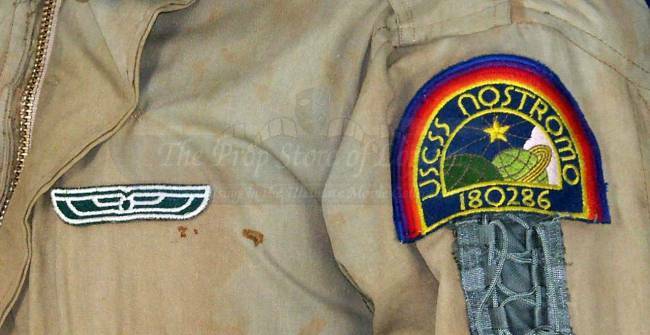 The pale khaki coloured jacket has “Nostromo” printed on the back, 2 original “USCSS Nostromo, 180286” patches on both arms, pink trim around the collar and green coloured pockets and ties attached to the front and sleeves. 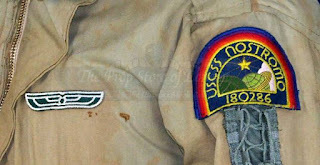 The small patch on the front was added at a later stage and a mark where the original patch was can be seen. Has a “M. Berman Ltd.” costumers label inside. 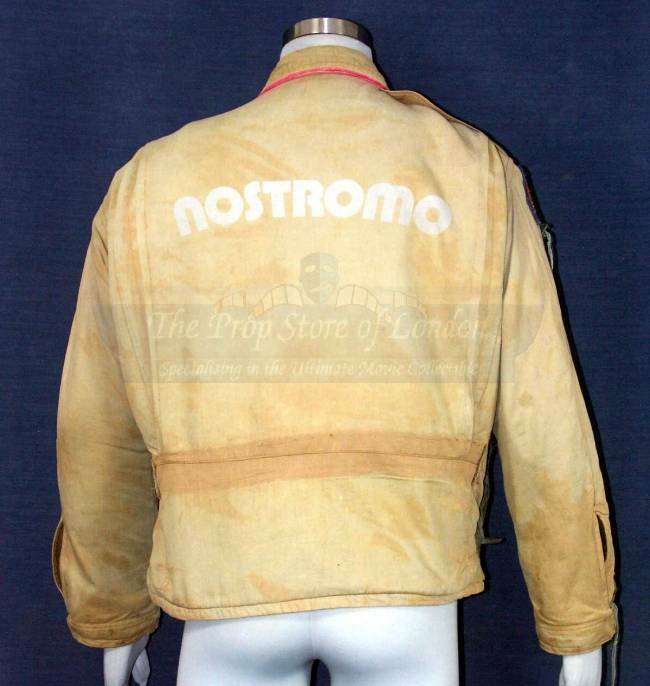 This very rare piece is a must for any Alien fan! "